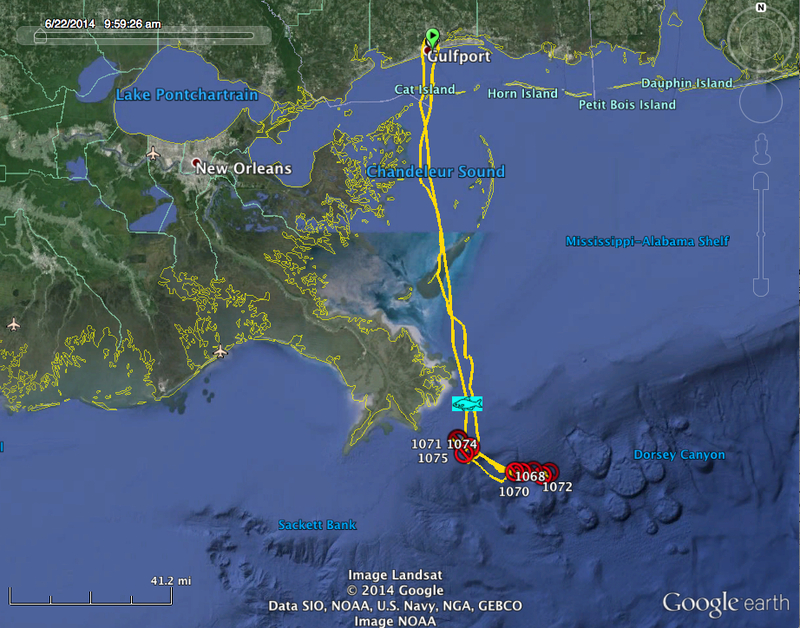 Barely 12 miles off the tip of Louisiana in the shallow waters of the Gulf of Mexico lies a semi-permanent, large, poisonous oil slick. It has been renewing itself daily since it first appeared in the summer of 2004, when Hurricane Ivan destroyed an oil production platform together with several tens of active pipelines. There is no end in sight for this ongoing sickening pollution. The blame lies primarily with imprudent drilling practices, not by a single corporation but by most if not all of the oil and gas industry. Put most simply, the wells in this area, most of which were put in place prior to the 1990s, were drilled too vertically and in too close proximity to each other. And, like most other wells in the Gulf of Mexico, they are located in the natural paths of hurricanes. The seafloor in this area is covered with mud, and underwater mudslides are the rule, not the exception. The end result is a chronic pollution crisis that threatens anyone near enough to see, smell, taste, or contact it with a life-threatening dose of hydrocarbon poisoning. To those of us who fly offshore regularly, its site is a frequent reminder of what an even larger area looked like after the 2010 BP disaster. We have documented this pollution site from the air for over four years in articles on the OnWingsOfCare.org website and elsewhere, and we have provided aerial spotting support to scientists and engineers studying the site and ways to address the problem. On these two recent flights, we provided aerial guidance to scientists collecting samples of fresh and weathered oil from various locations in this area (June 18) and taking specialized aerial photos and videos to study properties of the oil (June 22). Results of these missions, like those before, will be published in scientific journals and publicly accessible websites, presented at scientific conferences, and used by government agencies as well as oil and gas companies. With the permission of these scientists, we are continuing our practice of sharing some of these photos and videos with the public. We know that citizens can only be as effective as they are well-informed, and the only way that our oceans will be preserved as healthy natural habitat for years to come is if a majority of human beings are informed and take action, whether directly or indirectly through effecting prudent legislation. Here are maps showing the location of this site and these two recent flyovers. 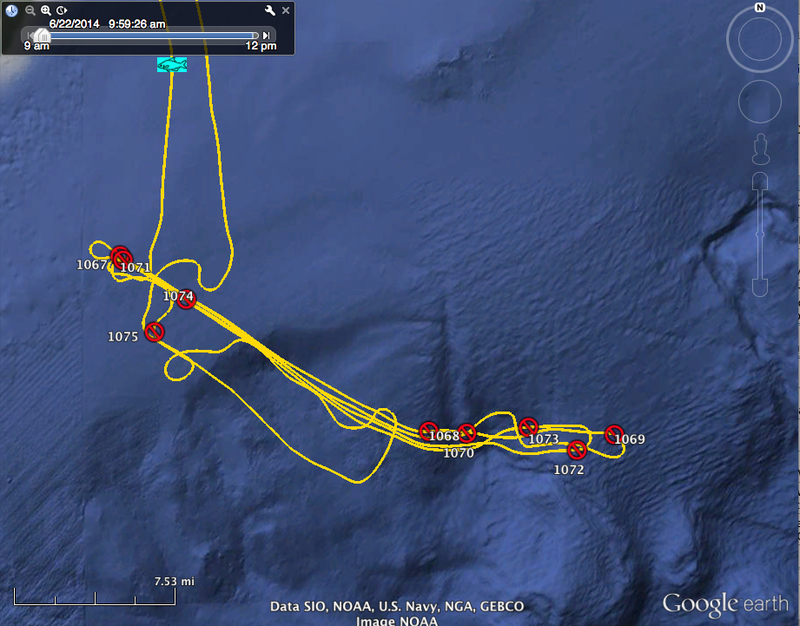 At the end of this article we’ve reprinted our Flight Log for June 22, which covered roughly the same areas as the June 18 flyover except that the slick had moved somewhat, as it does regularly according to winds, sea currents, and weather. Stormy weather between June 18 and June 22 had caused the appearance of the slick to change also, primarily in that less weathered oil had accumulated on the surface. Following are some of our “favorite” photos, which are explained more below. Some were taken from the aircraft windows (“obliques”) and some were taken looking directly down (“nadirs”) like a satellite image, except that they were taken from altitudes of only 500’ to 2000’ above. The aerial photos from June 18 are courtesy of On Wings Of Care’s veteran spotters and videographers Terese P. Collins of Biloxi, MS and Don Abrams of Ocean Springs, MS. Terese provided the excellent still photographs, and Don the high-definition video. The photos from June 22 are courtesy of Dr. Ian MacDonald, premier oceanographer and expert on surface oil in the Gulf of Mexico from Florida State University Tallahassee. The surface photographs are courtesy of scientist Oscar Garcia-Pineda also of Florida State University, who with his colleagues will be analyzing the oil samples. Finally, here are more aerial oblique photos from the flight of June 22. Note particularly the heavy concentrations of sargassum to the east end of the Taylor site, some of it containing weathered oil. Spotters/Crew: Ian MacDonald, Mauritio (FSU). Sky & Visibility: Mostly clear, 10-mile visibility. Flight route: KGPT (Gulfport, MS) - south, direct to the Taylor Slick, avoiding towering cumulus and embedded thunderstorms immediately to the west. N4784E, C172/U 115 kts. KGPT ETD 1330Z, <1,500’, KFPT. ETE: 5.0 hrs. Oil spotting survey. First Dest: ~ 105 nm, 175° from KGPT. Heavy mousse with sargassum here at far SE end. Heavy Rainbow sheen from NE to SW-ward. Looking NW-ward, start of the worst stretch of rainbow, from here to apex at NW corner. Start SE-ward, secondary slick to south of us and north of platform MC108A. Stone Energy platform to north of us.